Since 2002, the first Saturday in May has been Free Comic Book Day (FCBD). 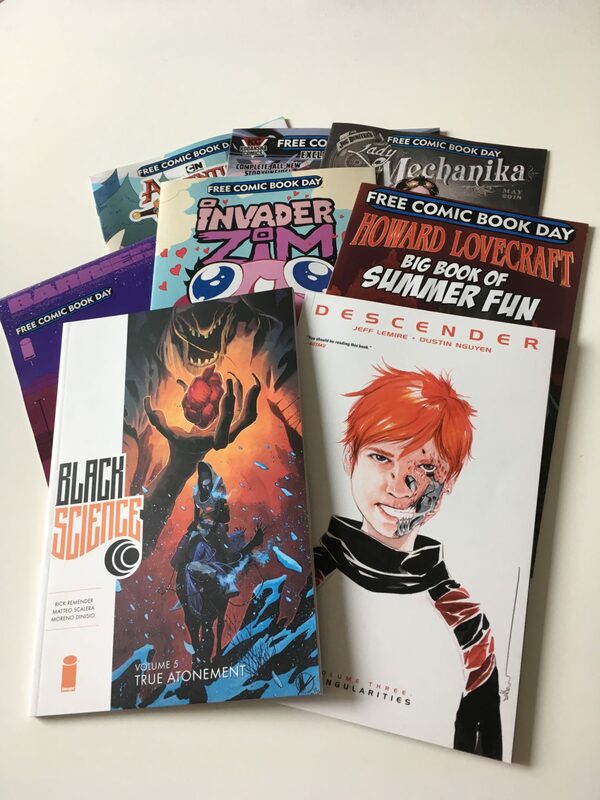 Publishers churn out single-issue offerings of a wide variety of comics, a tool that comic shops can use as a festive reason to visit their businesses. FCBD served as a great excuse for Dan and me to visit Gryphon Games & Comics. I have been following Gryphon online for months and they offer a great array of events, from game demonstrations to figure painting to cosplay competitions. We arrived to find a line out the door — which, frankly, thrilled me. Though I am a notorious wait-avoider, I celebrate any time a comic shop or bookstore has an occasion for a queue. Bring it on. The wait didn’t turn out to be bad at all. It was mostly caused by some very friendly staff making sure that patrons had all the information they needed to choose their three free comics from maybe 30 wildly different options. After the freebie queue, we explored the surprisingly large shop. 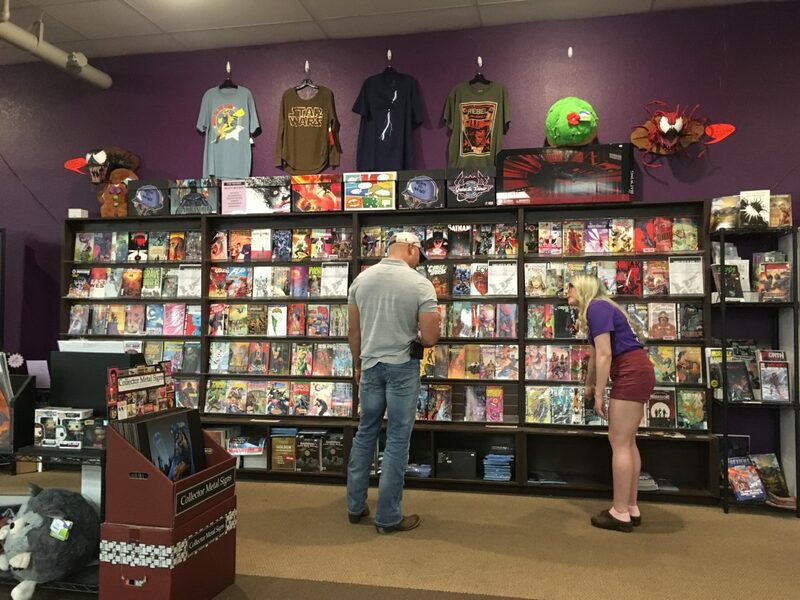 Gryphon offers a great selection of comics, trades, merch and board games. 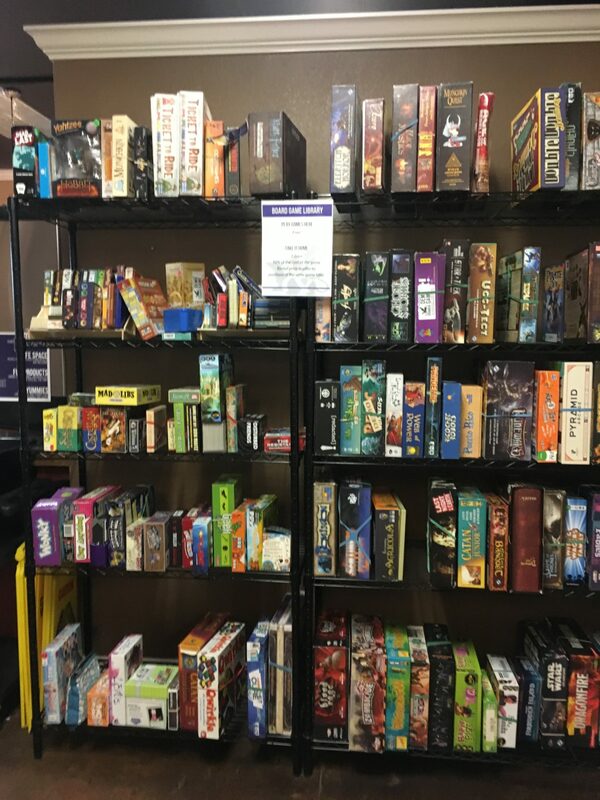 Outside of the large sales floor there is also a coffee shop with a robust lending library for games. Here is our FCBD haul. Dan’s freebies are in the back: Adventure Time, Ghost in the Shell, Lady Mechanika. My freebies are next: Barrier, Invader Zim, Howard Lovecraft. I had read somewhere that the “free comics” are not actually free to the store; they’re a loss leader to drive traffic. With that in mind, we also bought two books: Black Science vol. 5, Descender vol. 3. 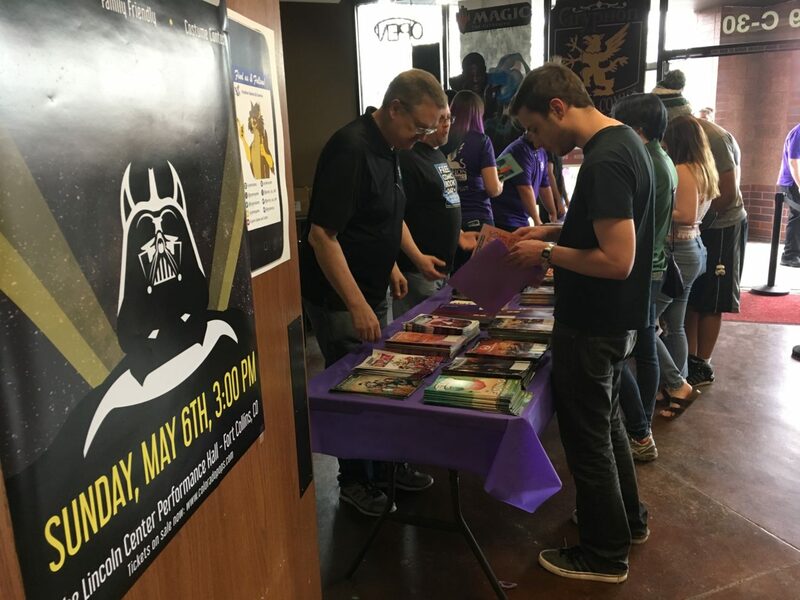 The cashier estimated they might see 1,600 people come through their doors by the end of FCBD. 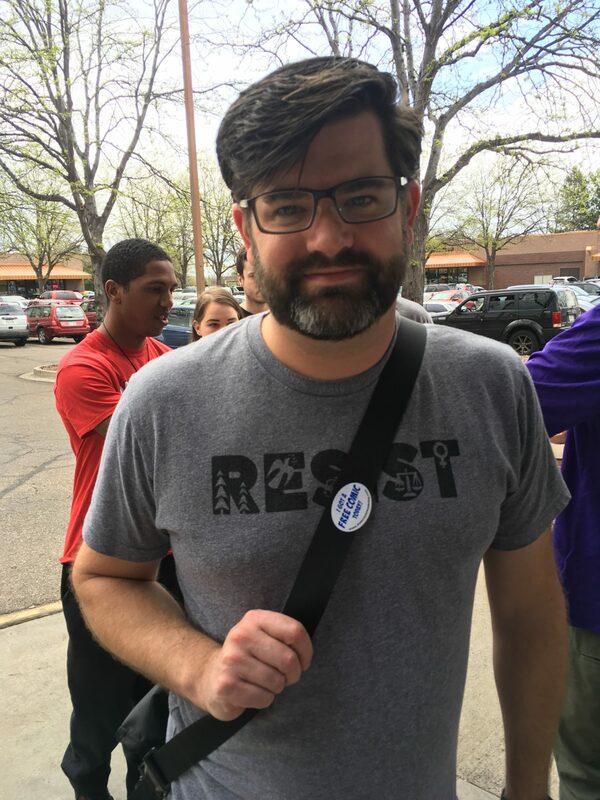 Bonus photo: Dan with his “I got a free comic today!” sticker. 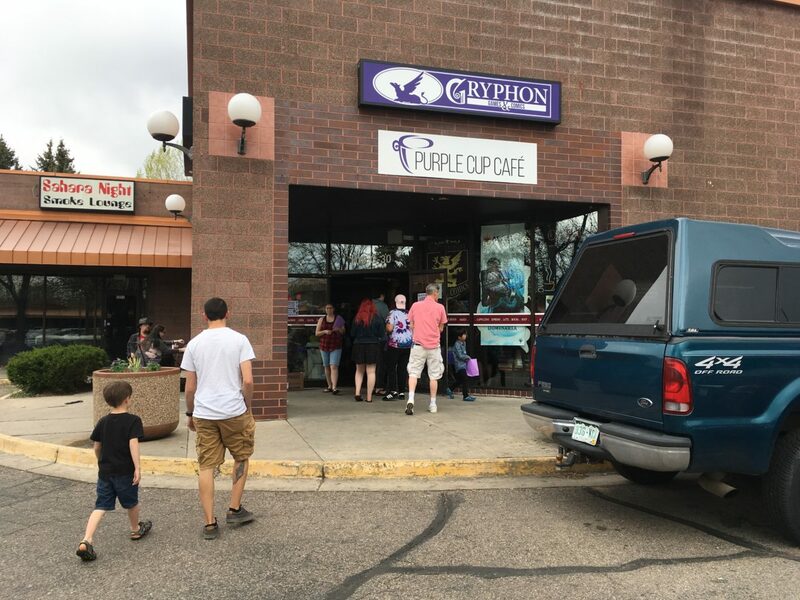 Behind him: more friendly Gryphon staff, offering free coffee to people waiting in line for their freebies.